Private wine tours to any winery/wine region by luxury car. We pick you up and drop you off anywhere in greater Melbourne or your desired wine region. You choose the wineries, or leave it to us. 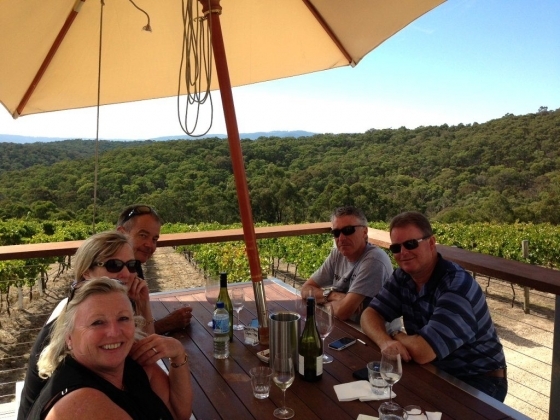 Specialists in boutique wineries not frequented by other tours. We also visit breweries / cideries / distilleries / dairies / chocolaturies, anything you want. Reasonable prices. 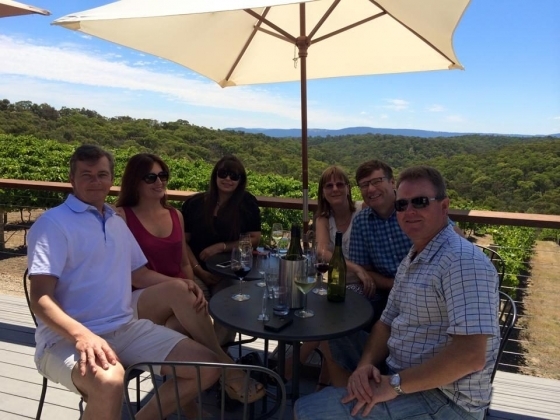 RECENT REVIEWS - Angela from TripAdvisor BEST MELBOURNE WINE TOUR... 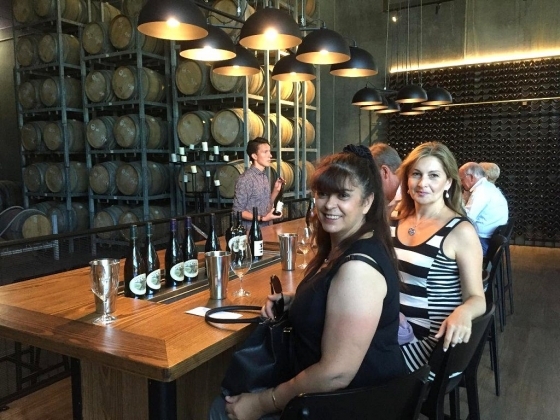 This is not the first wine tour in Melbourne i have done, but was definitely the most personalised tour i have been on. 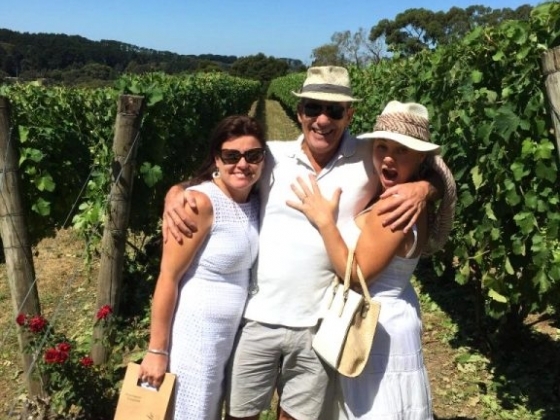 From the moment you get picked up by Tour Owner, David in his Mercedes, you are treated to a top quality service and get to experience his knowledge of the local wine industry. 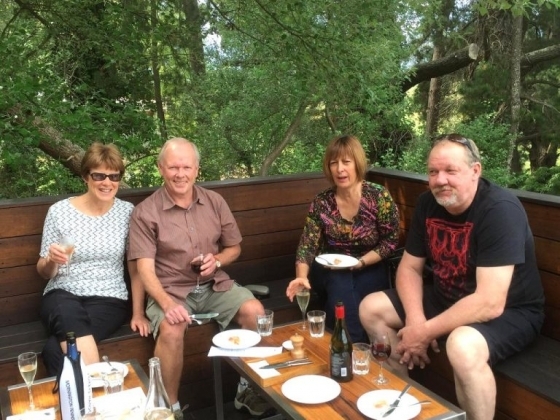 Definitely a tour that caters from the beginner wine taster right through to the more experienced wine connoisseur - David has the knowledge to take you to the perfect places to sample wine, beer, cider, cheeses, chocolate and good company. David offers you choices throughout your tour, so that you really get to experience what you want to do and see and taste. 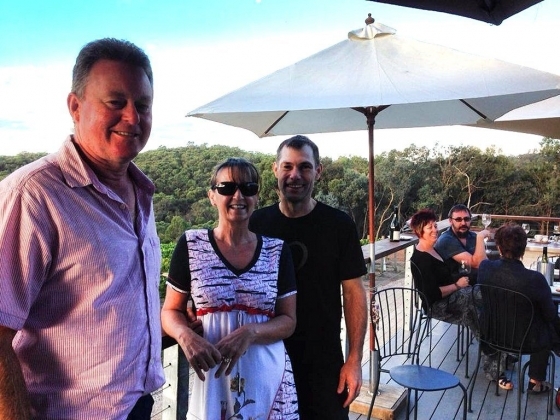 Make sure you ask to stop in and meet Joe at THE HOPS AND VINE AUSTRALIA in Warrendyte and Yileena Park Wines as in both these places, the people you meet will make your whole experience worth the while. Thanks so much David for dropping off our left behind purchases - top notch service to the very end. Andrew and I look forward to joining David on another tour, the next time we go to Australia as we are sure that we wouldn't find the same level of excellent service anywhere else. Until next time David - CHEERS! - Kat from TripAdvisor GREAT SUNDAY FUNDAY! Knowing we were heading to Melbourne for a conference my husband and I decided to take a few extra days to relax and have a few well deserved days off! Loving food and wine we thought it would be fun to book a wine tour of Mornington Peninsula as neither of us had ever been there. We booked Executive Wine Tours on Friday for a Sunday tour and were delighted to get in last minute. David was a brilliant guide and he adapted the tour on the go to suit what we wanted as it was just the two of us (although he can take up to six in his Mercedes SUV). We did a few vineyards, two craft breweries, a cheese place and had a brilliant nine course tapas lunch at Foxeys Hangout. Can highly recommend this for people not wanting to be on a generic tour bus - great value and a fantastic way to enjoy a day at the vineyards. Thanks David! !